See a specialist knee surgeon who really understands sports. Do you have an injury holding you back from the sport or pastimes you love? Have you had a pain that isn't settling and you need an expert to look at it? Is the NHS keeping you waiting forever for your knee operation, or even just to be seen by a specialist? Are the years catching up with your knee and it is starting to be a pain? 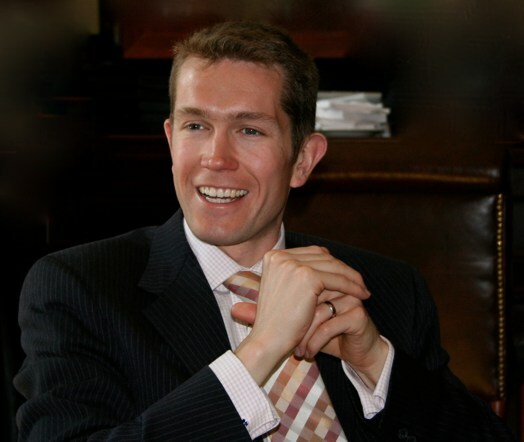 Mr Willis-Owen is an Oxford-trained orthopaedic surgeon and sports knee doctor who has raced for Great Britain in cycling, run marathon at the international elite level, rowed at Oxford University. He is the doctor that understands your desire to continue with your chosen sports or pastimes and reach your full potential whether it be professional sport or a stroll along the beach. He knows that surgery, even keyhole surgery, should be the last resort, but when it is needed it should be fast, accurate and perfectly performed. His main area is as a knee doctor and uses the very latest technologies such as custom knee replacements, computer designed patient-specific instruments, Robot-assisted surgery and stem cells to achieve outstanding results. Read about Charles's background or his blog. We welcome self-funded patient no referral is needed just get in touch. £250 for an initial consultation and £150 for a follow-up appointment. Surgery will always be a cost-effective fixed price package with no nasty surprises! At the Bournemouth Private Clinic, we can offer the most competitive Self Pay treatment in the region. Charles Willis-Owen is one of the few fee assured orthopaedic surgeons and knee doctors in Bournemouth and Poole, meaning that aside from your excess or maximum policy limits, your insurance should cover all the bills and you won't have to pay extra. Always check with your insurer though! He works with Bupa, Axa, WPA, Cigna, Vitality, Aviva and Exeter amongst others. "As an experienced Physiotherapist, I have been hugely impressed with Mr Willis-Owen in every aspect of his work. Nothing but world class in his approach with patients, his diagnostics and surgical outcomes. I trust him implicitly with my patients and wouldn't hesitate to seek him as my own surgeon if I had a hip, knee or ankle problem!" LC Pure Sports Medicine"
"Aside from being a top class surgeon, Mr Willis-Owen really understands the concerns and psychological pressures of major sports injuries. The confidence he instilled in me that the surgery would work, and it would be possible to return to high-level competitive sport was priceless. Thank you!" "....you are a remarkable surgeon who is so highly respected by everyone who comes in contact with you. Your bedside manner is impeccable and you inspire confidence from staff and patients alike...."
GDPR Information: Sports Orthopaedic Specialist & Charles Willis-Owen Limited will use your personal data only for delivering healthcare, for administration and billing. Selected information may be used to for communication with your other healthcare providers (General Practitioner, Physiotherapist, Specialist etc. ), billing companies, and for secretarial services. If you have any concerns regarding this, please do not hesitate to contact us directly. Your information will never be shared for marketing or used for any other reason aside for your healthcare and the running of this business.